One of my greatest frustrations as a blogger has been the inability to welcome you into my home. I enjoy sitting belly-to-belly with other individuals and hearing their stories over a cup of hot coffee. 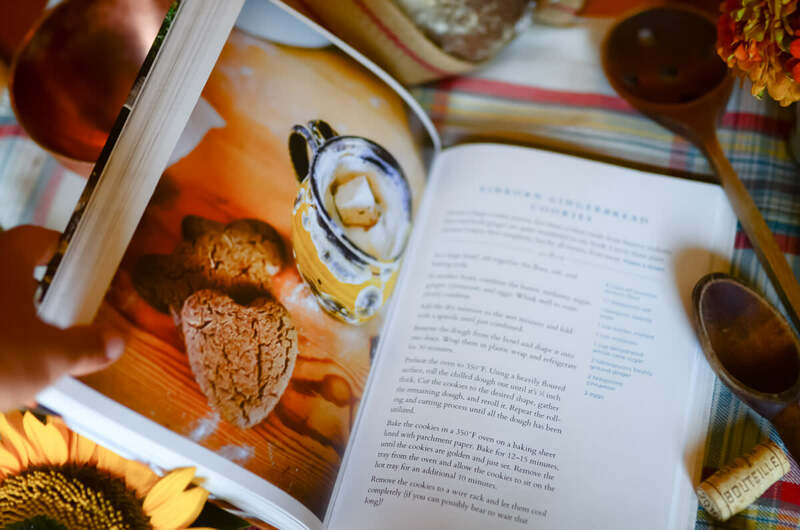 I enjoy talking about projects, paint colors, celebrations, and new recipes – and most importantly, sharing that in a community. Much as I’d like to have each of you over for such shenanigans, it’s not quite possible. In many ways, the internet brings us closer together and simultaneously can make us feel so far apart! My best friend is an internet friend that lives in Wisconsin. Go figure. Part of the way that we’re able to open our home to you is through the intimate ramblings that litter this blog and the photographs we share within. But, if you’re anything like me, you can find it tedious to sit down and stare at a screen yet again to feel inspired. I’d much rather see something. Taste it. Smell it. Touch it. Just me? Didn’t think so. A grand labor of love over this past year has been cultivating a book that will be just that. 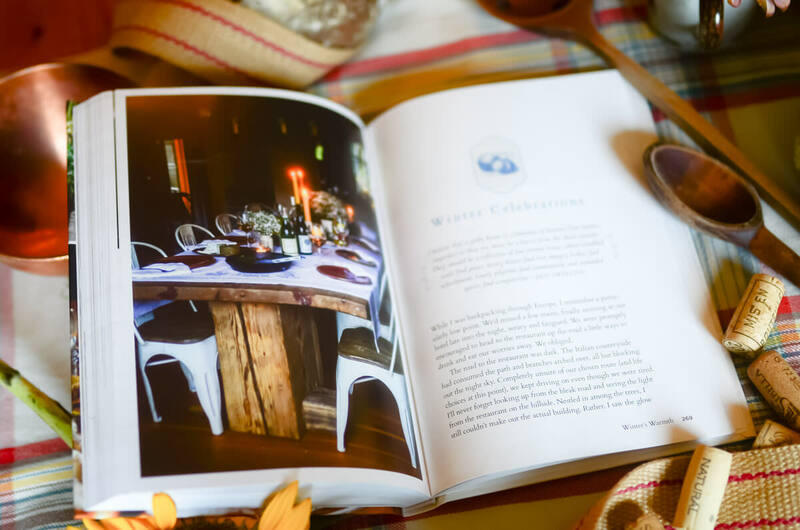 Seasons At The Farm was written and photographed from within our home to make you feel as much of the party as ever. 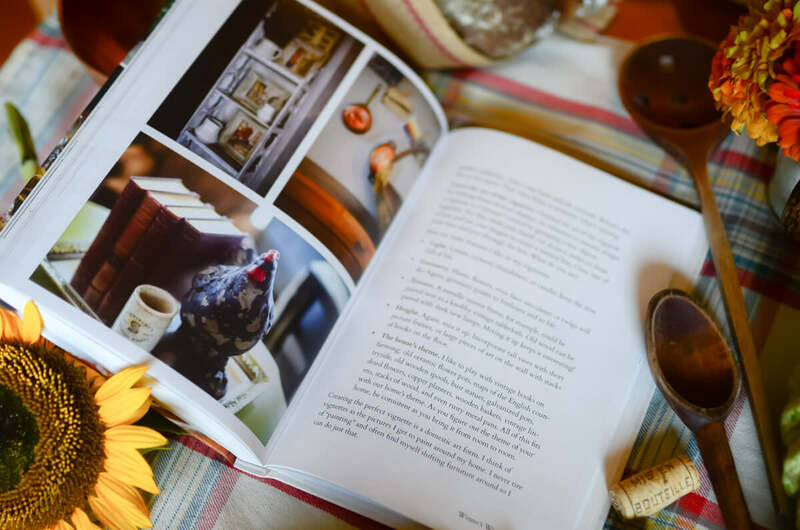 It’s 275+ pages are bursting with farmhouse interior designs, recipes, DIY projects, seasonal celebrations, farm happenings, color palettes, and garden inspiration to cultivate a desire in you. Life doesn’t happen when you conquer a mountain. It happens in every day, day to day magic. 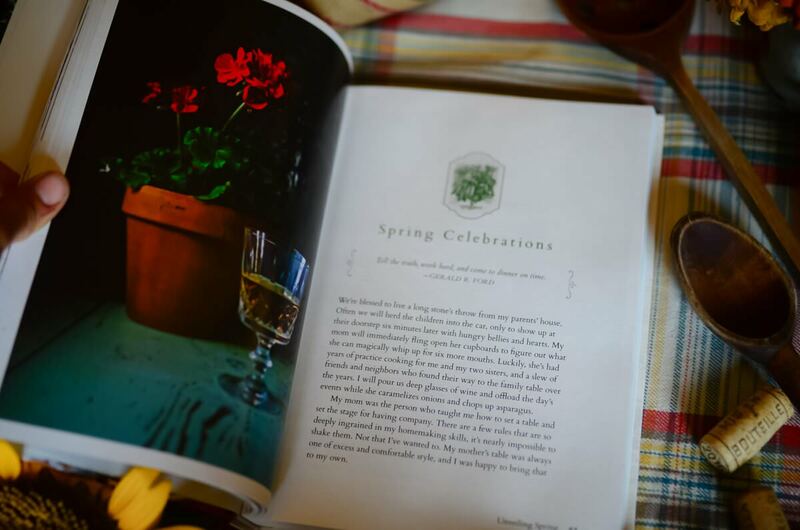 Seasons At The Farm was written to help you cultivate beauty in this moments. If I had one secret about creating a wonderful life for my family. ,it’s this: Learn how to cultivate everyday magic during not just the holidays but every seasons of the year. Life, for most people, is not a series of red-carpet events or nights out on the town. It’s tucking children under handmade quilts or reading by the fire on cold winter nights. It’s enjoying a frothy cup of espresso with a sugar-dusted apple cake on an autumn afternoon. It’s planting a pot of primroses for the springtime table. And it’s chasing fireflies and celebrating with friends under the glow of the summer moon. Sound idyllic? It’s not. It’s just normal life for those who cultivate it in such a way. I’m going to show you how to do just that within these pages. And we’re certainly going to entertain. I should mention, too, the book is a hardback. It’s meant to sit on your coffee table, to be picked up by weary hands at the end of a long day, where a spirit can find a bit of rest and refreshment. It’s meant to be read and savored and then re-read each season, calling you to celebrate and enjoy all that is offered within a quiet, content life. « Flowers speak to me. Can you just send me one now? I won’t tell anyone! My birthday is next week! Pleaaaaaase? You had me at “to be picked up by weary hands at the end of a long day, where a spirit can find a bit of rest and refreshment.” So looking forward to your book. ~ from a kindred spirit. I bought your book Welcome to the Farm and have found it to be beautiful in it’s presentation and so raw and informative. Love it! 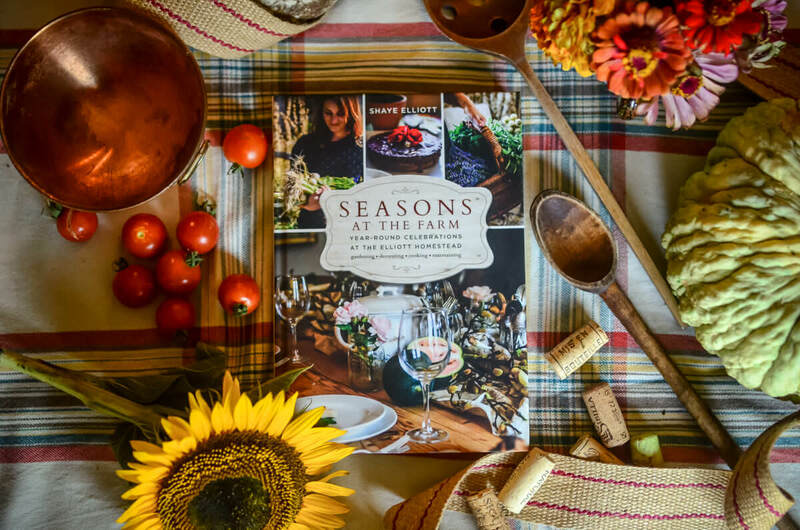 I’ve requested Seasons on the Farm for my birthday and am looking so forward to it. Keep up the good work Shaye! You bring life and beauty to the mundane. I CAN’T WAIT!!!! 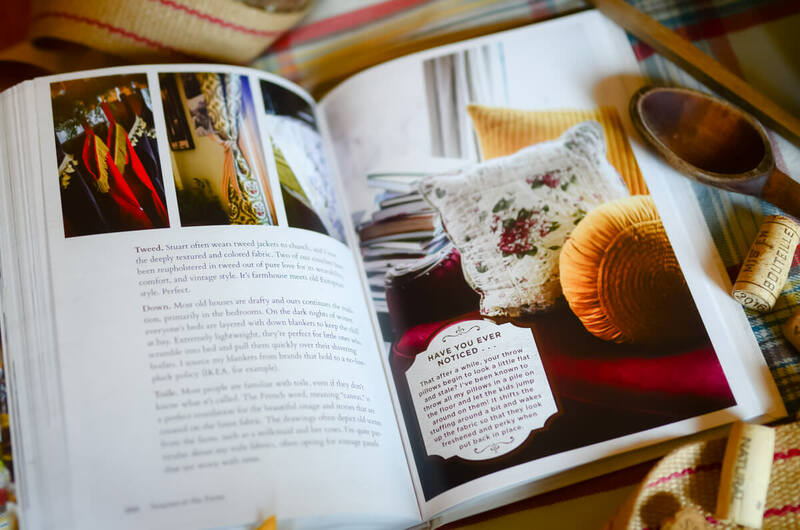 My spirit sure could use a bit of rest, refreshment, and homey inspiration right about now! I got mine over the weekend and absolutely love it! It does make me feel like I’m right inside of your home and I’m welcomed. I just finished reading this book tonight. I have been working my way through it over the past week. It was a beautiful experience. A beautiful book! Written beautifully! I have felt myself enjoying the mundane chores of everyday life more. You have given me a new perspective. Thank you. You are a blessing.